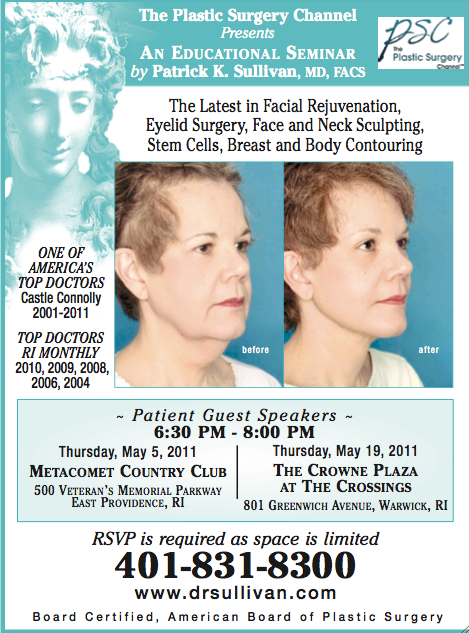 An Educational Plastic Surgery Seminar by Dr. Patrick Sullivan - Patrick Sullivan, M.D. The Plastic Surgery Channel and board certified plastic surgeon Dr. Patrick Sullivan will host two educational seminars on the latest advancements in plastic surgery in May. RSVP is required as space is limited.